With those words, CNN President Jeff Zucker kicked off a press event in Manhattan on Wednesday, where the network unveiled its impending digital makeover. 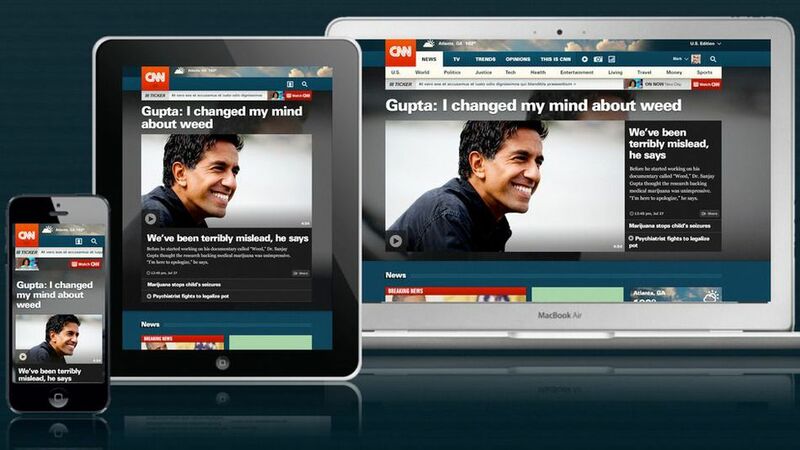 It’s a multi-platform effort CNN is planning to spend $15 million on this year. On the consumer-facing side, CNN will get a new website — a darker, more streamlined version of its current site, which was released in 2009. Gone is the long left-hand column with dozens of linked headlines; the site gives play to a single big story above the fold, both on the homepage and on its section pages, like The Huffington Post‘s front page.